With today's technology casino gaming can be made easier with the help of computers. C&C strives to simplify and safeguard casino gaming as well as improve customer satisfaction. 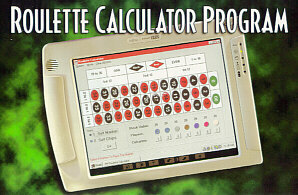 The Roulette Calculator Program (RCP) will eliminate mistakes, verify correct payoff, including conversion to money chips and visually show a break down of each payout within seconds. This program can be used on the casino floor to resolve payouts disputes, while enabling surveillance to monitor the game more effectively. The RCP has been carefully designed to be very user friendly. Revised: 27 Feb 2015 08:27:38 -0700.